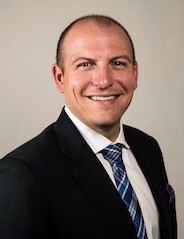 Zach Sams joins Kensington Vanguard after serving as Vice President of Sales & Marketing for Fidelity National Title’s Dallas/Fort Worth division from 2012-2016. Zach is focused on expanding KV’s presence in the D/FW market. From selling real estate for the The Buehler Group to business development roles at prominent local and national title insurance companies, Zach has been active in the D/FW real estate market since 2005. Prior to the title industry, Zach attended The Golf Academy of America in San Diego and spent two years playing professional golf. Zach is an active member of the US Army National Guard. Zach graduated from Golf Academy of America with a degree in Golf Complex Management.